Crossing Borders Music performs educational performances for thousands of K-8 Chicago Public Schools students each year. Our program “Stories and Music of Resilience,” celebrates musical stories of resilience through performances of string quartet music by composers from around the world. The unique, 50-minute string quartet program features music by composers from Uganda, Argentina, the Soviet Union, the Chickasaw Nation, Iran, Taiwan, and the US. Each piece shares a unique story of resilience, whether in the face of personal loss, political oppression, or other people’s incorrect assumptions! Meet our team of Teaching Artists! Interested in bringing Crossing Borders Music to your school? Please contact us online here, or e-mail info@crossingbordersmusic.org. 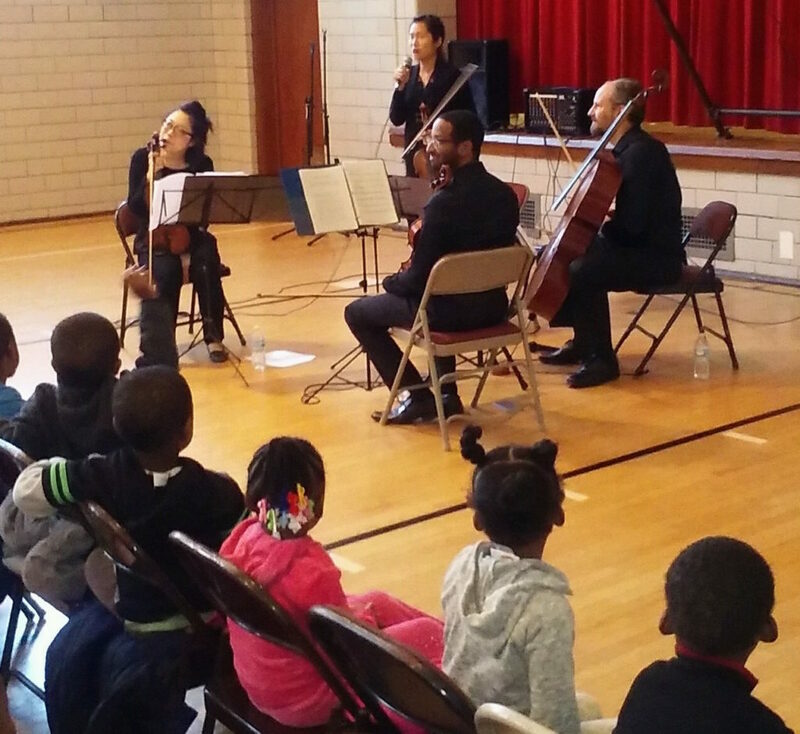 Performances are provided free of cost to selected Chicago Public Schools.